 Slide: Google's social savior? 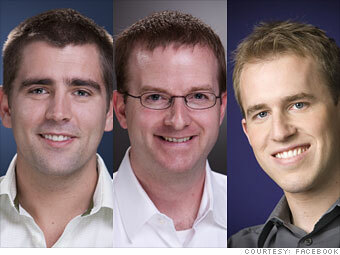 This trio of Stanford grads leads Facebook's tech force. Cox, an old-timer who came on in 2005, launched the newsfeed, ran HR, and now heads product strategy. A Sun Microsystems vet, VP of engineering "Shrep" oversees a growing crew of programmers. CTO Taylor arrived in August 2009 with the acquisition of his social aggregator, Friendfeed.